The Duke and Duchess of Sussex are quickly approaching Meghan’s elusive due date which is said to be the end of April. 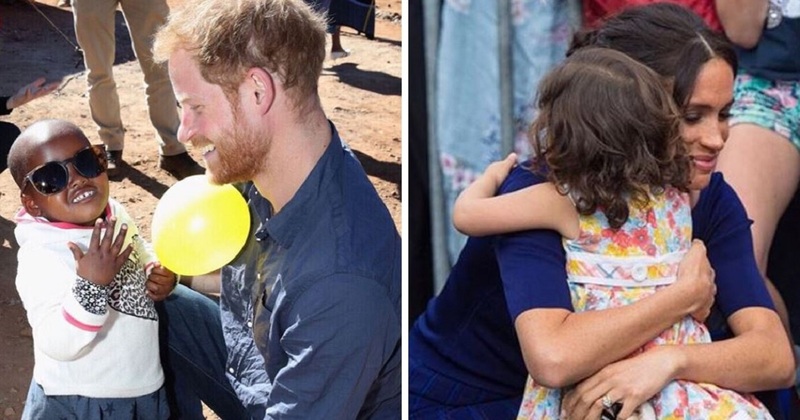 If anyone was ever ready to be a parent, it is Meghan and Harry, they are loved by kids and are just perfect humans, what can I say? Harry and Meghan might not be parents just yet but they might as well be, they are great with kids and have always wanted one of their own! They have recently moved in their new Frogmore Cottage in Windsor which is anything but modest. With ten bedrooms, a huge kitchen and a freakin’ yoga room, they are definitely set to raise a very royal child. 1.) 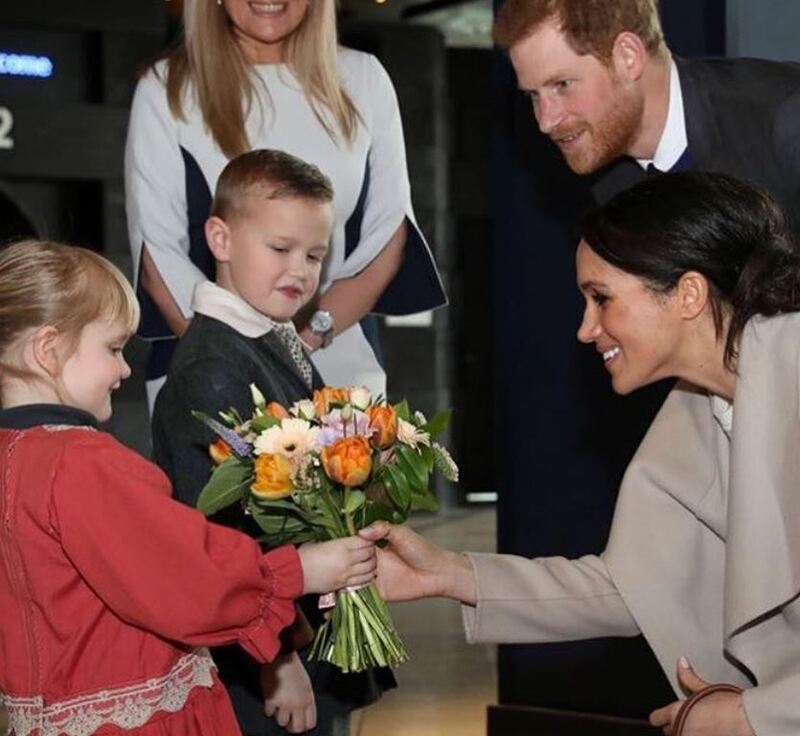 Children give Meghan flowers! Prince Harry definitely is brilliant at posing and is unfairly photogenic. 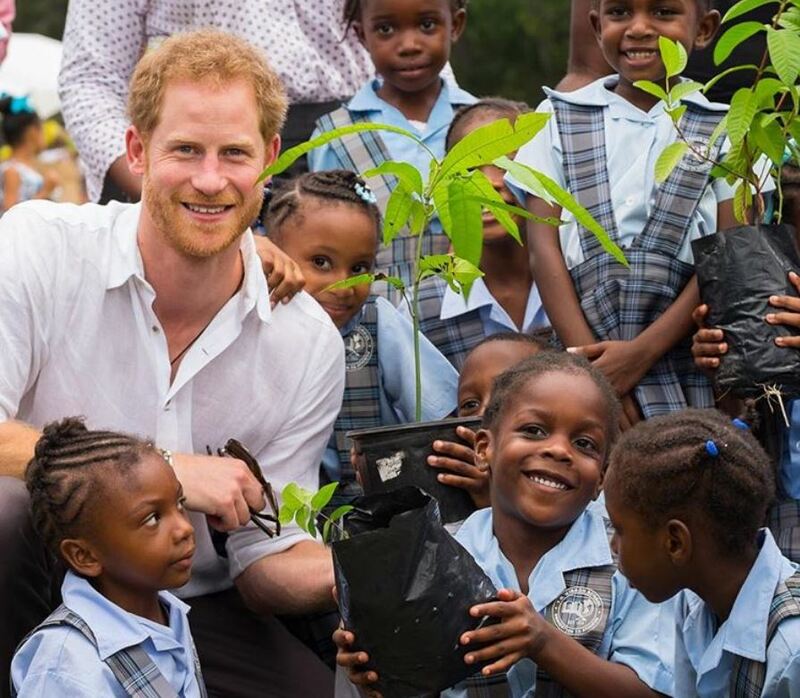 These lovely Carribean children look beyond happy to be in his company though!